The next redesign of the HOUR saw some minor modifications to an already beastly machine. We tweaked the width, making the new HOUR just ever so slightly wider, adjusted the response by making minor modifications to pad depth, and response position and tweaked the weight distribution. We think it plays even better than the original. Let us know what you think. 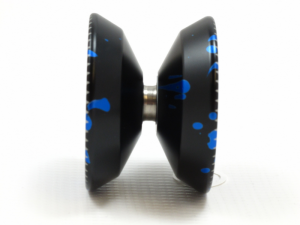 Who made the rule that dead smooth spinning and well designed competition yo-yos have to be expensive? The HOUR is upon us and Werrd has forever destroyed this notion by creating a yo-yo to rival all other yo-yos in its price range. While some yo-yo designs in this price range tend to sacrifice design elements or looks the Hour goes all out. Choices were all made based with an extreme focus on play, performance, and appearance. 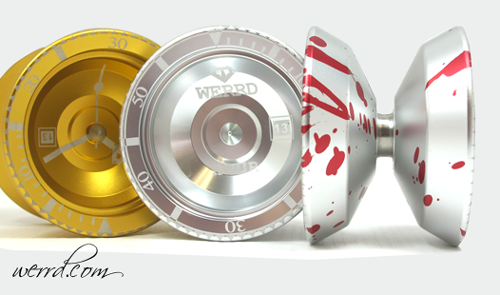 The HOUR is meant to be a killer in the metal yo-yo market and is ready for a challenge. The 2K13 HOUR is slightly wider than its predecessor and with subtle adjustments to the rim weight, response and the axle system the improvements match its bright new color combinations. Anodised in Competition Silver and Gold as well as a variety of bead blasted splash finishes. 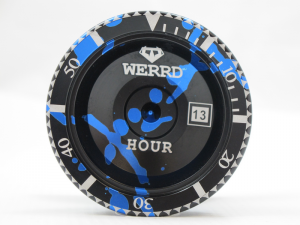 * Terms and Conditions apply – see www.werrd.com for details.